Special Guests and Upcoming Events! We are excited to share with you our progress here at Pashion Footwear! Just last week, our CEO Haley had an interview with a representative from the San Francisco Chronicle. 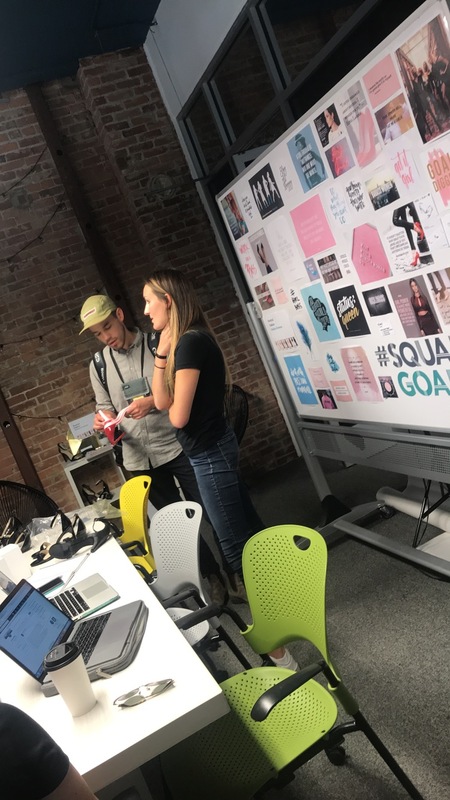 During the interview, Haley had the opportunity to explain the message and developments behind Pashion Footwear, as well as the timeline for Pashion Footwear’s launch on July 1st. In addition, we had a visit from one of our Portland development consultants, Mark Thompson. Mark visited San Luis Obispo for two days, during which he went to lunch at a local hotspot, Luna Red, with Pashion Footwear’s Public Relations Coordinator Krista Hershfield, Footwear Design and Product Developer Seiji Van Bronkhorst, and CEO Haley Pavone. Mark advised and spoke with the Pashion Footwear Team about color tone options, development progress, and technological advancements. The team had a great time getting to know him, and looks forward to meeting with him more in the future! Finally, we are making headway on packaging developments. Pashion Footwear wants to deliver an innovative shoe, with packaging just as unique in design and format. There will be many details regarding this one-of-a-kind product design to come! July 1st: Official Pashion Launch!